Festivals, Schools, Libraries, Camps, Special Events, Parties & more! Put on your dancin' shoes & get ready for some funtastic sing-a-longs. For the last 25 yrs.+ Jodi has Jiggled at hundreds of venues with 1000's of kids. As a featured musical guest on WGN's Bozo Show, Jodi has performed for the Taste of Chicago, Chicago Botanic Gardens, Old Town School of Folk Music, just to name a few. Jodi will turn your event into a musical extravaganza the families will never forget! Guitar, Puppets, Bubbles & more! Jodi was wonderful. The dozen little kids were fully engaged & were all dancing & singing along. Jodi was on time, organized, flexible and most importantly, the kids (and parents) loved her. Melanie, you really know how to throw a fun party! Glad to be a part of it. We loved having Jodi at our kids' (3&5) birthday party! The children were dancing and singing, I am so glad we had her! Thank you Jodi! You are so welcome! I had so much fun singing Halloween songs with those wonderful kids and parents! I appreciate the thumbs up ! Jodi is a true professional. She was in contact before the event multiple times with good suggestions on how to implement her 45 minute session into the party. The kids loved her and were dancing like crazy. So glad we found her!! Jodi was truly a hit for our crew of 40+ kids mostly in the 5 year old range. She held their attention for the full hour and my birthday girls talked about her music for days. Leading up to (and through) the event, Jodi was professional and extremely easy to work with. Cannot recommend her enough! So fabulous! Thanks! What a fun crowd!!! Jodi was amazing. She brought the best to our twin's birthday party and their school friends. Live music, interactive performance, egg shakers and bubble fun. It was a blast for 35 kids! The kids laughed, sang and fully engaged throughout the entire party. My husband and I truly enjoyed her music especially these original songs written by her. They are fun with positive message. She has an efficient performance system with speaker & mic, and the sound effect is wonderful like a live concert. Very responsive and a professional during the booking process. I would highly recommend her for your next party. Thanks Jodi!!! Thanks for having me!! What a great group... they make my job easy. Jodi was part of my son's music themed 3rd birthday jam/party. She came on time, and even waited for the kids to get done eating before starting the show. Her songs were fun and interactive. She even learned a new song because it's one of my son's favorites! She brought props, bubbles and even a parachute. All the kids really enjoyed her performance. Jodi's show was a great addition to my two year olds birthday party! She was upbeat, silly, and her music was fun! 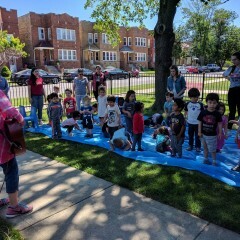 The kids also enjoyed the bubbles and parachute play. Amazing Show for my 1 yr old Son. Jodi is awesome all the kids and adults were up and dancing. Will definitely recommend her. I loved singing with your friends & family. I had a blast!!!!! Awesome awesome awesome!!! The kids LOVED Jodi. Great music, great fun.. I couldn't have been happier. I also loved that she used a mic.. It sounded more like a concert performance. I would definitely recommend her and use her again. Thanks Jodi!!! She did a great job adding some musical fun to our daughter's music themed first birthday party! Bubbles, parachute, instruments, and more! You and your family and friends were so sweet! Jodi was on time, well-prepared, and worked very well with the little ones. We thoroughly enjoyed having her provide entertainment for my granddaughter's birthday party. It was a lovely event & great fun! Perfect entertainment for school group! Jodi came to perform for our end-of- the-year school assembly. Our special needs students absolutely loved her music and her energy! Jodi's songs were engaging, interactive and just lots of fun. We would definitely consider her for future engagements. 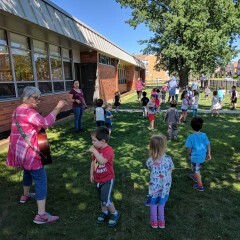 We have a program in the summers called, Movin' and Groovin' and we hire performers to come in every Wednesday morning. We invite Jodi because she is such a wonderful musician! 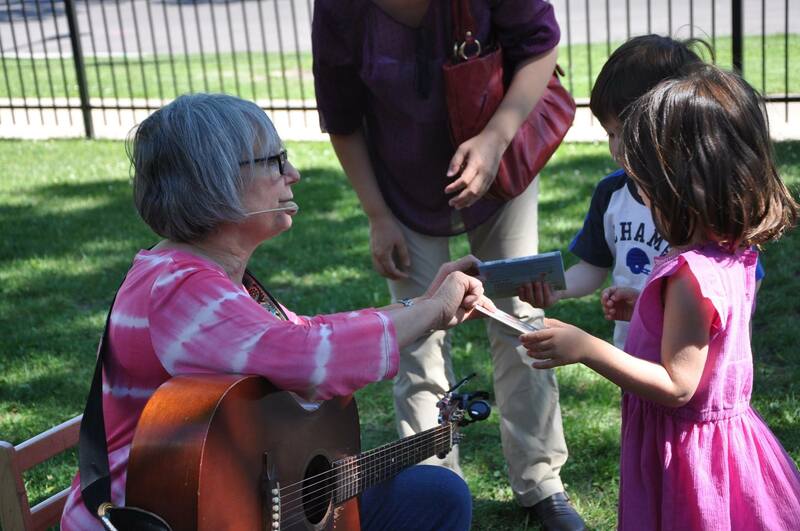 The children love her music, they sing along and dance and have a great time! I would highly recommend her to anyone! We have been to two of Jodi 's classes through the park district, and she is wonderful! She had a great read on young children and understands how to vary different types of activities to pull them in and keep them interested. She sings fun songs and has a truly warm personality. I highly recommend hiring her for any event. She's great! Jodi performed at my son's birthday and the children and adults loved it so much. She is a true professional, engages the children and even the adults at certain times and makes the kids so happy. She has CDs to buy or give in the goodie bags so you send the experience home with guests. She is our a great person and our favorite performer! What a fun party! So glad I could help you celebrate !!! The charge for a Jigglejam Show is a flat fee. No additional or hidden charges for additional participants. I always bring puppets & bubbles/ parachute is used for smaller private parties. Travel Fees may apply/ call for more info. Sound system is included for solo/duo/trio shows. Interactive 45 min. 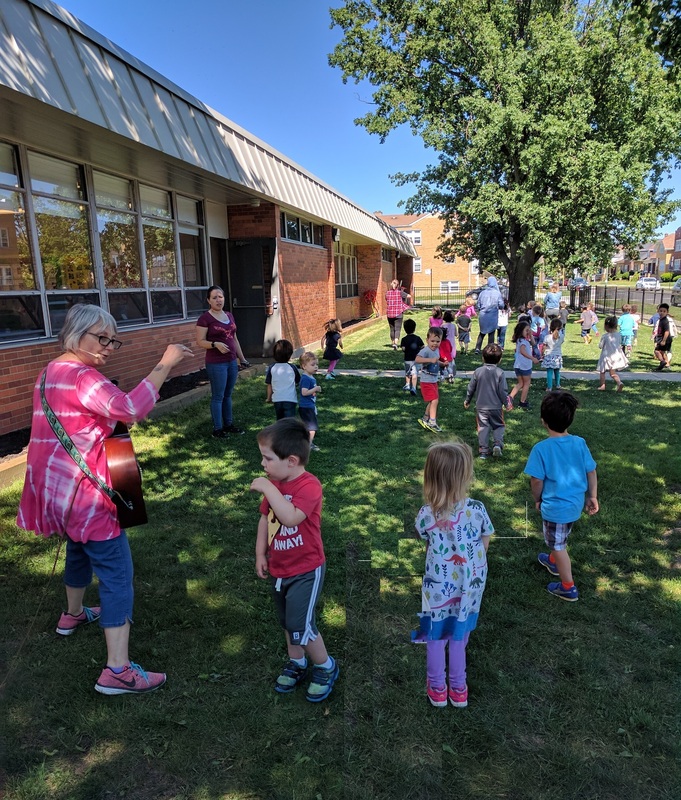 music show with guitar, puppets, percussion instruments, parachute & bubble fun! I can include a special theme if there is one and/or include some of your child's favorites. 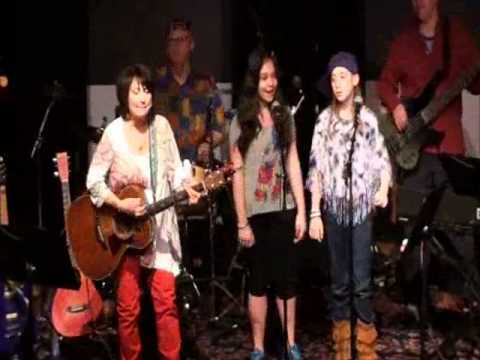 I'll play all the familiar songs the kids know & love along with a few of my interactive originals. I bring a PA system & have a head set mic so I can dance around with the kids & still keep the audience's attention. 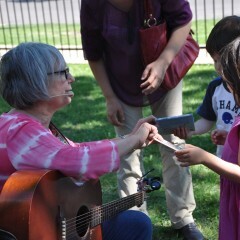 At the end of the show I let all the kids strum my guitar. Also included the B. day Child gets 2 free original Jigglejam album downloads! are available for purchase at a discounted rate . 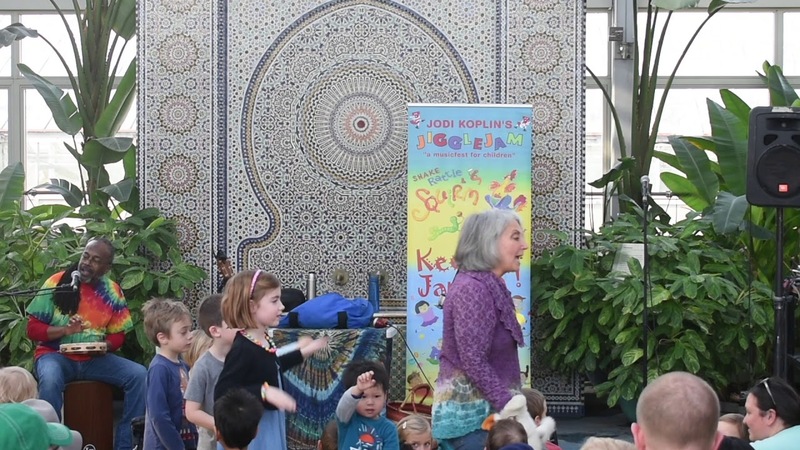 Jodi Koplin is a children’s performer who has been dazzling young audiences in the Chicagoland area for the last 2 decades plus. She and the Jigglejam Band have been dubbed as one of "The hottest Kid's Band to hit Chicago". Jodi Koplin draws her inspiration from the unique perspective of the young children that surround her. Her music covers a wide range of styles, including rock & roll, calypso, boogie, & blues. As a mother of 2 grown children residing in near by Riverwoods with her husband ( and resident harmonica player), Jodi now has more time to concentrate on her writing, painting,and performing! 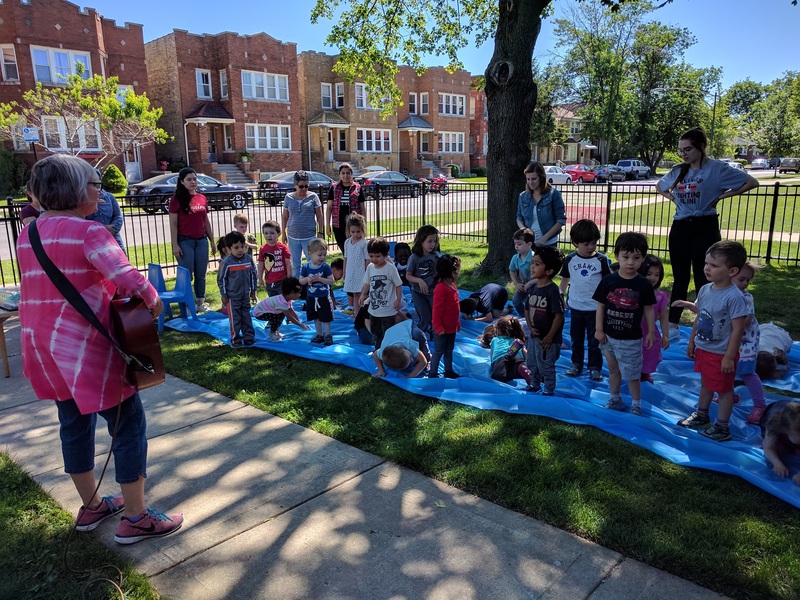 Jodi is a faculty member of the Old Town School of Folk Music and a teacher of Jigglejam music classes for young children at the Park Ridge Park District. She also offers music enrichment to local area preschools. Her CD’s, “Kangarooster” & “Jumpin’ Bean” & "Shake, Rattle & Squirm have been widely praised and are filled with imaginative interactive songs that are sure to become favorites in your home! Put on your dancin’ shoes & get ready for some funtastic sing-a-longs! "The Hottest Kid's Band to hit Chicago"
-Children have so much fun wiggling, giggling & jiggling with Jodi's Jams. They learn unsuspectedly while being entertained at the same time! 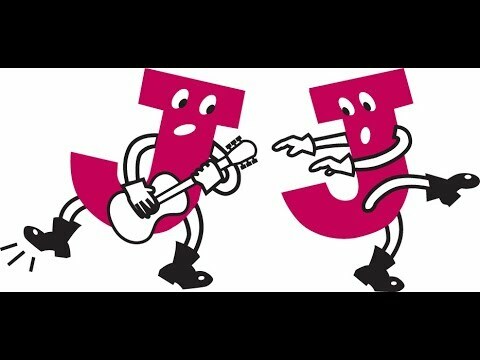 "We Love Jigglejam! 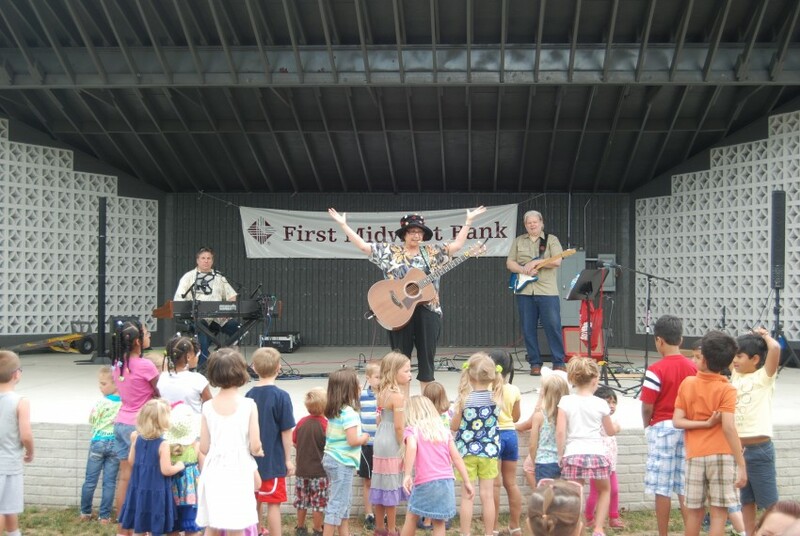 Jodi's engaging style, along with her fun, catchy lyrics & melodies always keeps our kids rockin"
"Fabulous! Inspirational! Jodi's Enthusiastic Performance marveled the children & staff alike"
December 21, 2016 • 6:30pm - 7:30pm Beverly Library/ Holiday Jigglejam Concert! November 12, 2016 • 1:30pm - 2:30pm Festival of Trees / Danville, IL. November 12, 2016 • 9:30am - 10:30am Festival of Trees / Danville, IL. October 27, 2016 • 5:30pm - 6:30pm Spooktackular Jigglejam Show! @ 115 Bourbon St.
June 17, 2016 • 10:00am - 11:00am Camp Show/ St. Charles, IL. May 30, 2016 • 9:15am - 10:00am Child Care Center/ Lockport, IL. April 29, 2016 • 4:15pm - 5:00pm Child Care Center/Naperville/ 1 yr. Anniversary!